Happy Sundaaaaaay! 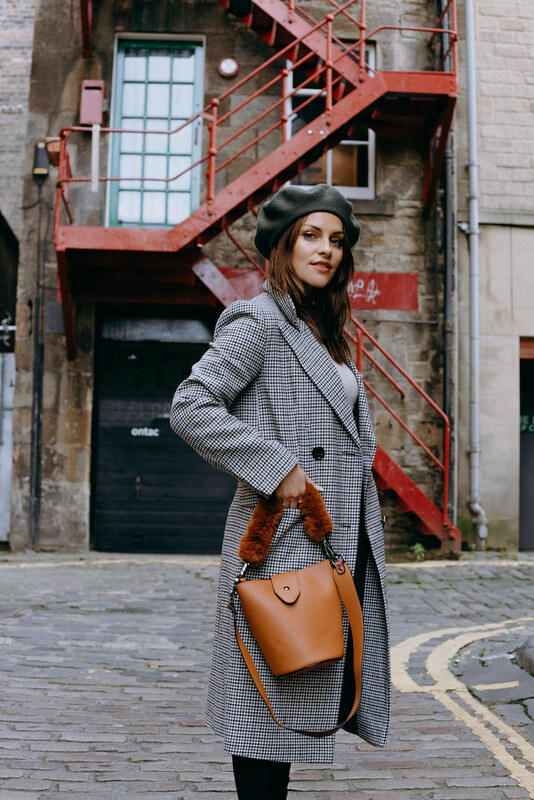 I apologise for there being more photos than normal in this outfit post; me and Kirsty kept finding cool locations and, before we knew it, things had gotten out of control and we'd taken 6732 photos. No I'm kidding, but we did take a lot and I thought it would be rude not to share them. 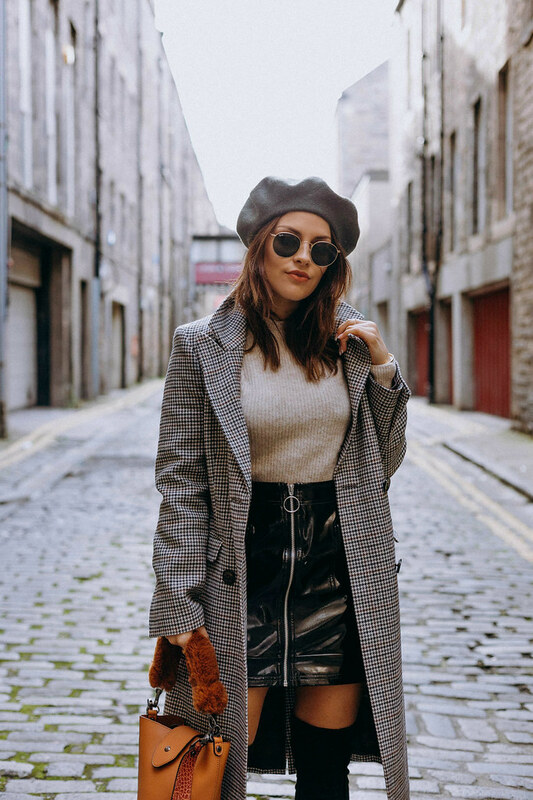 You may already have seen a little sneaky peek of this outfit over in this Instagram post and I have been SO excited to share the full blog post. 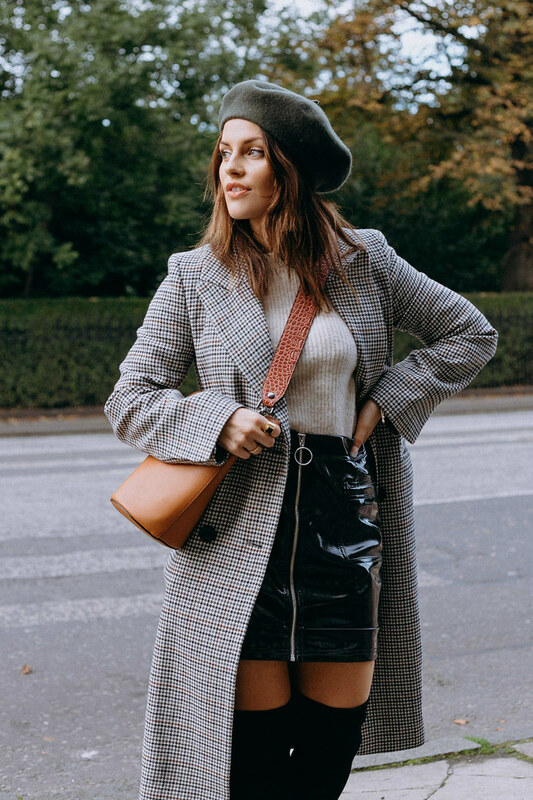 It's actually an outfit that's entirely from one shop - good old Toppers - which very rarely happens, but their A/W stuff has just hit and it's TOO GOOD. That's twice I've used capitals/shouted now in this post and I apologise, maybe put in earplugs in case I accidentally do it again. Everything I'm wearing comes up true to size apart from the skirt, if you're between sizes I'd say size up on that one. 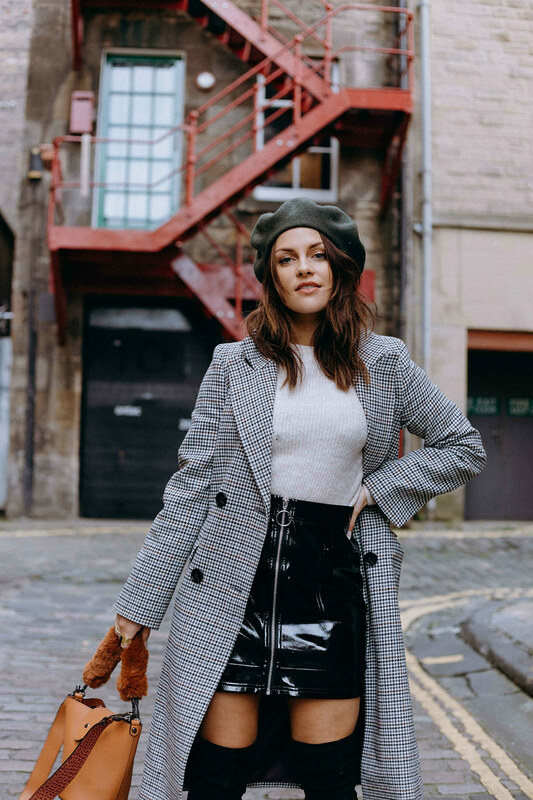 And the beret is a ...beret... good investment piece, I've been wearing it non-stop since I got it. 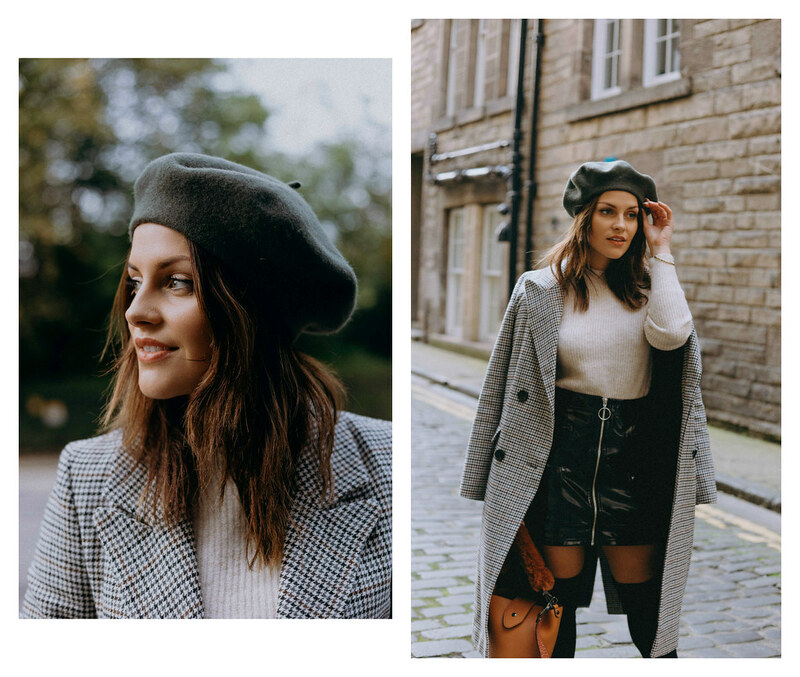 I'm actually going to put in a wee edit below of my favourite Topshop pieces on site so you can see what I'm talking about! Anyway, I shall dash. It's my Dad's wedding this weekend and I need to go pack. And practice my ceilidh dancing skills. OH STOP IT. These pictures are ridiculous! 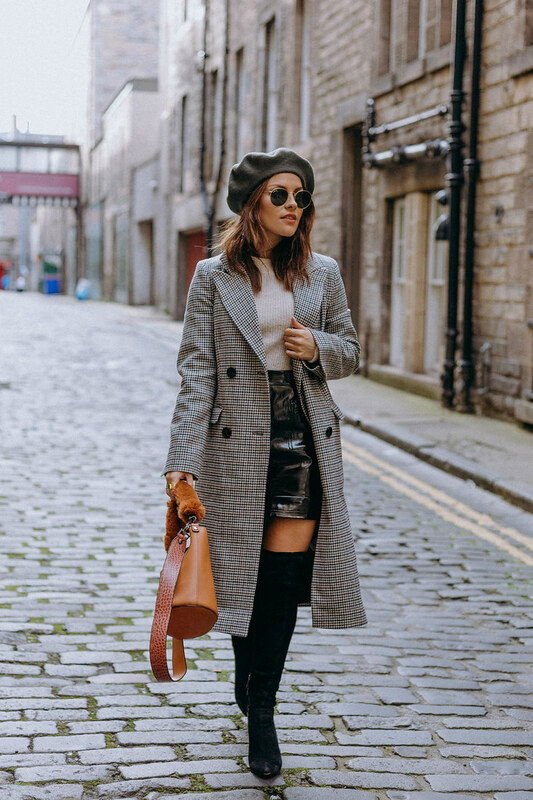 I love how you've styled everything - can you please come dress me? For some reason this makes me think of Twiggy!I saw your IG story - awwww, how cute did your dad look I'm his kilt!? Adorable. You looks so good. You have some really nice style girl! Yes to all of this! I just bought that coat too! I love this look! 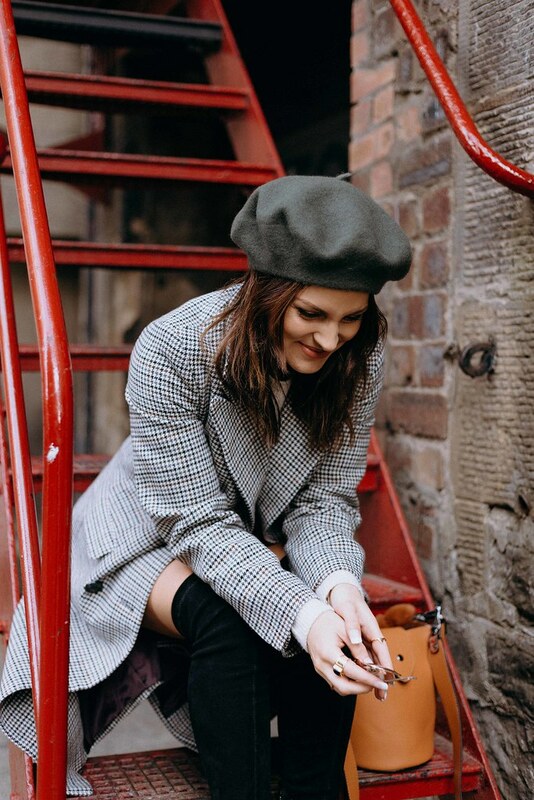 The beret adds such a cute touch! I love that coat with the jumper! 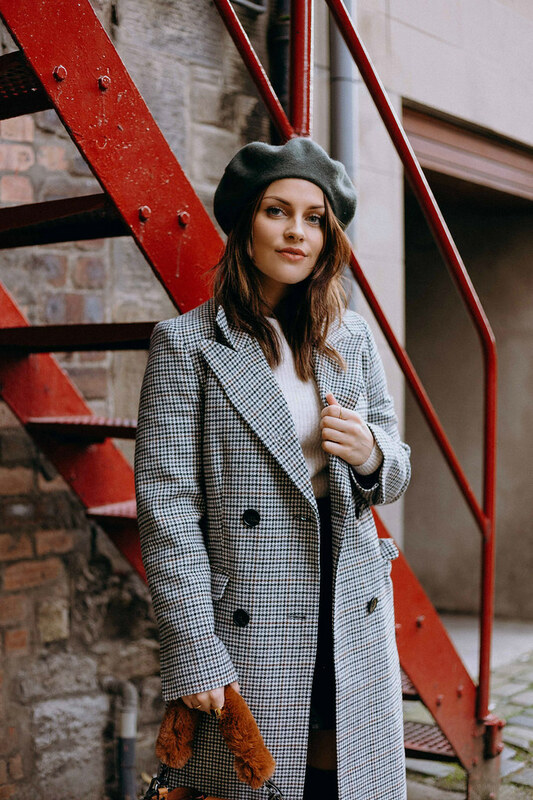 The beret is so cute too.